AS per the latest updates from the PMO, a new scheme termed as Pradhan Mantri Home Loan Scheme has been announced for implementation. The officials have stated that the new scheme has been launched under the PMAY (Pradhan Mantri Awas Yojana) for Urban areas. As per the updates, the government shall provide with provision of Interest subsidy for beneficiaries opting for Home Loan under the scheme. The provision shall be provided by Nationalized bank – State Bank of India (SBI). Candidates who are interested in availing home loans at subsidized interest can now officially apply online via the SBI web portal. The provision for home loan application has been made available online at the website for PMAY-U. As per the officials, the SBI has announced to offer beneficiaries with home loan facility at subsidized rates for interest. The bank will also be offering with provision for selecting one amongst four categories available under the scheme. LIG/ EWS – CLSS – under this category the applicants will be offered with a tenure period of 15 years for repayment of the loan amount. LIG / EWS- CLSS Revised – Under this class or category the applicant can opt for a tenure period of up to 20 years for loan repayment. The loan amount can be used by the candidates for construction of the homes or for acquisition of the affordable homes under PMAY. The government has already announced about implementation of the scheme. Candidates who are interested in acquiring home loans via SBI and are eligible for LIG / EWS – CLSS can now get registered before 31st March 2022. For candidates who want to get registered under MIG categories for Subsidy can get registered under the scheme will 31st March 2019. Under the CLSS component, candidates who are interested in acquiring home loan can now follow the below mentioned procedure. Even before you get registered you will have to confirm with the eligibility for the procedure under the scheme. You have to visit the official website for loan procedure at homeloans.sbi/pmay. On the main web page you will be displayed with all conditions for eligibility check. The moment you clear the eligibility, you can now make the online application for home loan under SBI by selecting “Apply Now” option. You can also visit the web page directly by clicking the link at https://onlineapply.sbi.co.in/personal-banking/home-loan?se=SBI-Microsite&cp=Homeloan&Ag=SBI-Microsite. On the redirected web page you will have to make the selection of the Relationship type with SBI. In case you are having a valid SBI account then you have to provide relevant information by clicking “Yes” option. For valid candidates, it is must to provide with registered mobile number of account number for authentication. If you are not having SBI bank account then you have to select “No” as your option. It is important to provide with details related to acquisition of home loan, income or salary details, details of location and co-applicants details. The moment you have entered your purpose, you may have to enter details of property like Purchasing/ extension or Construction details. A simple form will open up which has to be filled in. To get the home loan you just have to click the “Get loan” option. The selection has to be made from one amongst the options available depending on eligibility and income source. You can go through the conditions – EMI, Interest rate, Tenure for repayment and loan type. For candidates who are not eligible will not be displayed with loan offers. The person will be requested to directly contact the Bank officials for further discussions. The amount of loan and tenure period can also be customized as per your requirements on the official website. Later you have to click the “Apply” option. The moment you select this option you have to authenticate with your email ID and mobile number provided. Candidates will be forwarded with OTP on registered number that has to be verified. For email verification candidates will also be forwarded with Captcha Code that has to be authenticated in the right tab. Once details have been confirmed the procedure and details related to home loan and amount will be forwarded in your email ID. After confirmation of Registered mobile number, applicants will now have to fill in details in the Online Application form. All details related to personal information and other Biometrics have to be accurately filled in before submission. You are free to make submission by selecting “Submit” option. The web portal will forward you with Application Number/ Reference or Acknowledgement for the applied loan. This ID has to be maintained for future reference. Carpet / Coverage or Property area For EWS category –minimum 30 sq. meter and for LIG category – minimum 60 Sq. Meter For EWS category area to be minimum 30 sq. m while for LIG category area to be minimum 60 sq. m.
As per the government norms, there are 4487 selected towns within nationwide on the approval list of PMAY. Under PMAY hundreds and financial institutions and banks have been approved for providing home loan for CLSS- PMAY-U component. You can check with the link directly at Affiliated bank list. 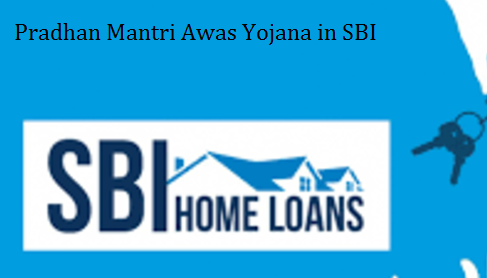 You can also visit the link directly at https://homeloans.sbi/pmay for collecting more details. I will be oblique to arrange me Lone for my Pradhan Mantri EWS Yojgna Scheem.House allotted to Me. AAPNE FARVEL AWAS NA 20% MARGIN MANI PACHHINO 1ST HAPTA NI RAKAM DT.31-05-18 SUDHIMA JAMA KARAVVI NAHI JAMA KARAVSO TO AWAS RAD KARVAMA AVSE.